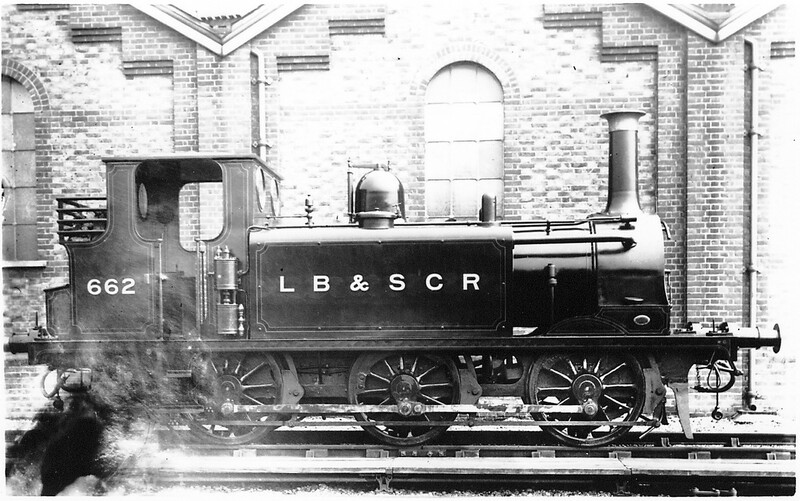 A1 Terrier no 662 (ex ‘Martello’). 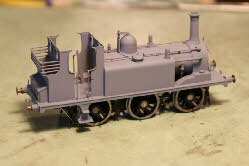 Yet another Terrier - a part-built GW Models kit given to me to complete. Various sub-assemblies have already been completed (very neatly, by, I think GW himself). I have to assemble these bits and complete the chassis. Fortunately I have a suitable set of Mike Sharman wheels for this engine. 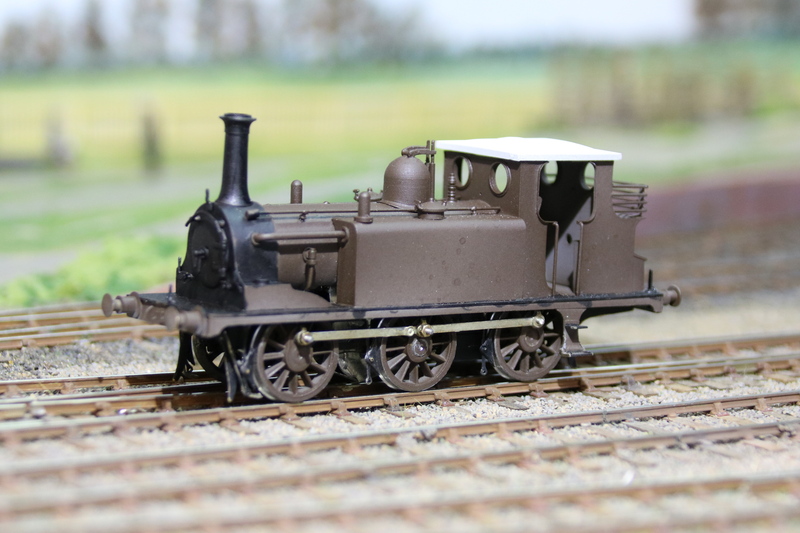 It will be finished as A1 number 662 in Marsh umber, with the 1905 ‘LB&SCR’ lettering. 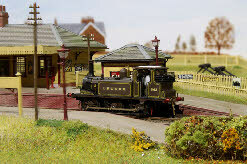 Martello was built in 1875, renumbered to 662 in 1901 (to make way for the new B4 engines), was converted for motor train use in 1909, and reboilered as A1X in 1912, In common with most of the Terriers, Martello started its working life in London, and during the 1890’s worked the Wimbledon services. 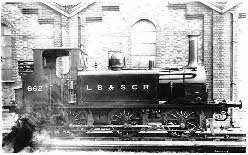 The engine was shedded at Littlehampton in the thirties, and moved to Fratton after 1945, before being finally withdrawn in 1963, and sold to Butlins. 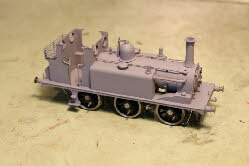 The kit came with the main sub-assemblies already complete: footplate, cab rear, cab front, boiler/smokebox, and tanks. Here, the main components have been tacked together to check alignment. The tanks will be added after the chassis has been made and trial-fitted. (It’s very difficult to check clearances inside the boiler when the tanks sides are in place). 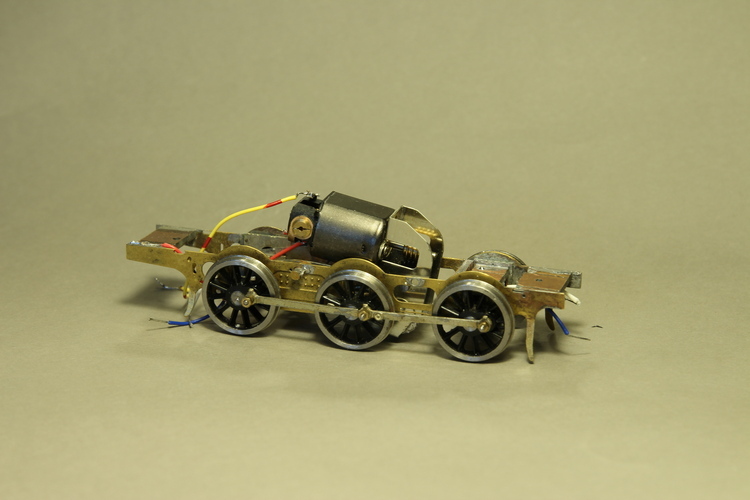 The chassis, assembled and running but awaiting final details and a bit of fettling. Two more pictures of the almost-finished body, ready for painting, and sitting on its chassis. 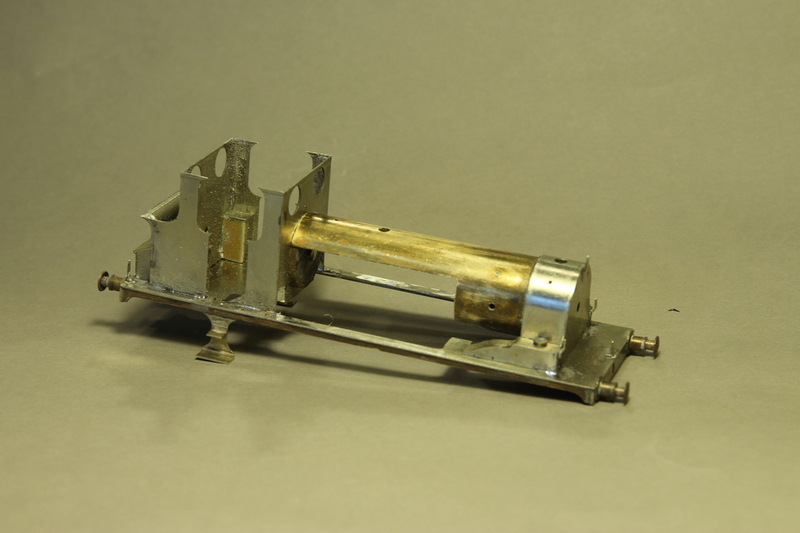 The only item missing from the body is the Westinghouse pump. I have made this removable until I have finished the painting and lining - I will also straighten out the bent handrailing (bent so that I can fit the Westinghouse exhaust pipe which runs along the boiler to the smokebox). The chassis runs, but still needs a bit of work to improve it before final assembly. 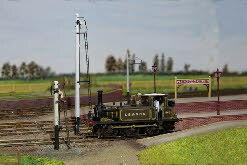 Martello on its first test run on Plumpton Green with chassis and body assembled. 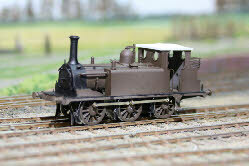 Just a few last things to do - transfers, detail painting, Westinghouse pump, brake rods, coal, tools and crew. 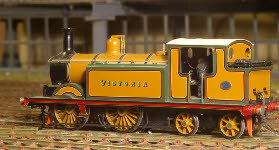 Finally complete, ready to run on Plumpton, alongside Knowle, Boxhill and Stepney.